Welcome to Perth Amboy’s St. Demetrios Greek Orthodox Church. Founded in 1917, St. Demetrios was one of the first Greek Orthodox churches in central New Jersey. We wish to invite you and your family to our worship services. We hope you will come and feel at home as we worship together. If you are searching for a church home, we’d like you to know that there’s a special place just for you here at St. Demetrios. 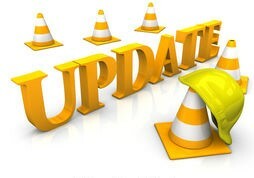 If you have any questions or need additional information, please contact us anytime. “St. Demetrios, A Worthy Champion” composed in 2017 by Marina Alexander and performed by The Arcadian Chorale, with Baritone solo Donald Boos and Tenor solo Chris Lucier. 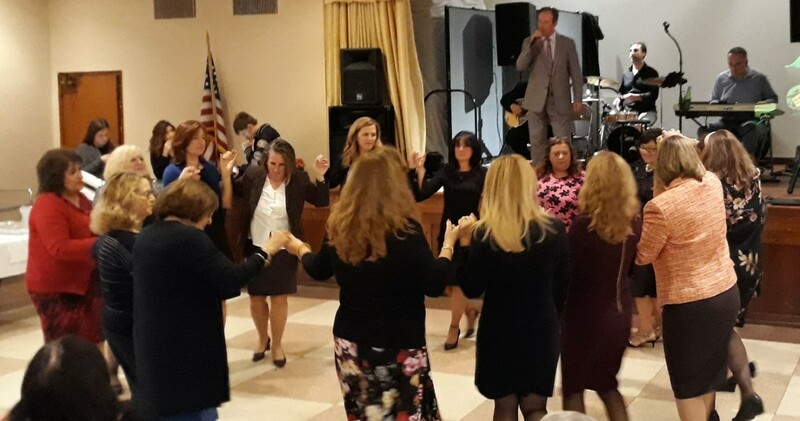 Written for the 100th Anniversary of St. Demetrius Greek Orthodox Church, Perth Amboy, NJ, October 2017. 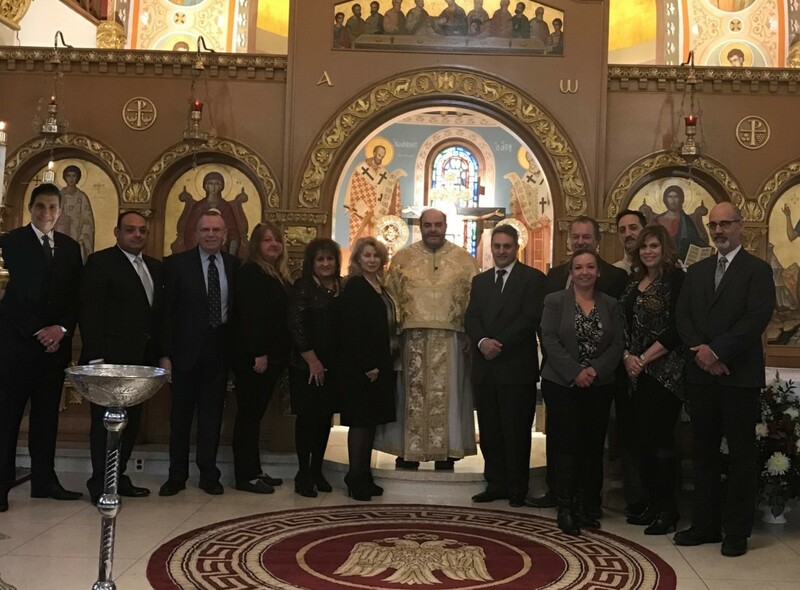 This entry was posted in News, newsletter on January 7, 2019 by stdemetriosadmin. This entry was posted in News on November 26, 2018 by stdemetriosadmin. O Wednesday, Nov. 7th, we took another significant advancement in our building plans with the approval of our site plan by the Perth Amboy Planning Committee. Lead by our Vice Chair Kenneth J. Doukas, along with our lawyers from the Greenbaum firm, our wonderful engineer Sean Delaney and talented architect Dave Minno, we received approval by a vote of 5-1. We thank Ken Doukas, members of Philotimo Board, St. Demetrios members and of course the Planning Board officials. We now move on to have our President Marina Corodemus working with the various State of New Jersey agencies for approval. Keep praying for our efforts advancing our cause all in His Name. This entry was posted in News on November 9, 2018 by stdemetriosadmin. This entry was posted in News, newsletter on November 9, 2018 by stdemetriosadmin. 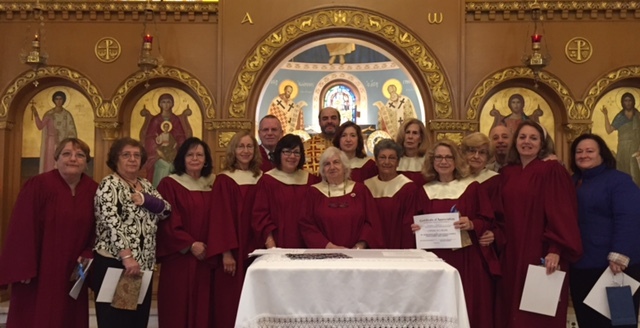 Father George conducted a ceremony to honor our St. Demetrios Church Choir on Sunday, October 28th. Each choir member was presented with a Certificate of Appreciation and gift to demonstrate our gratitude for their service every Sunday, under the direction of Irene Pakis. They add a deeper spiritual meaning to our Divine Liturgy through their melodious voices and hymns. May they all continue to serve our Lord through their talents and commitment to our church for many years to come. This entry was posted in News on November 5, 2018 by stdemetriosadmin. Parishioners of all ages enjoyed our Annual Church Dance. Father George opened the event with a special blessing and President Marina welcomed everyone. A bountiful buffet menu that was entirely donated fulfilled everyone’s appetites. Music was provided by the Stavros Theodorou Greek Band that inspired dancing and singing-along for hours on end. Several donated Gift Baskets were raffled to the delight of the winners. President, Marina Corodemus, presented a 360° video of the interior and exterior of our Church property. It was a wonderful, well-attended event that provided time to relax and enjoy each other’s company in a social atmosphere. There were numerous requests to do this more often! 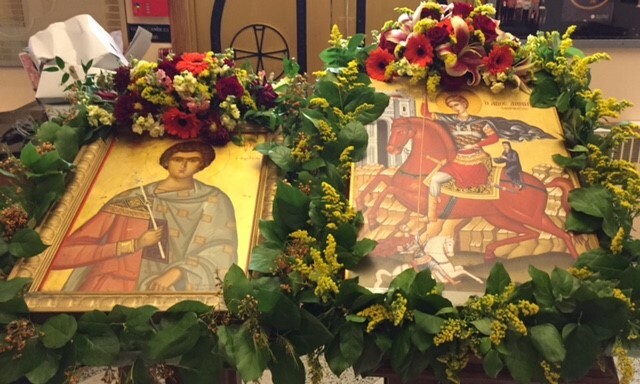 Our St. Demetrios community celebrated the Feast Day of St. Demetrios with a Vesperal service on Thursday, October 25th followed by Divine Liturgy on Friday, October 26th. Chronia Polla! 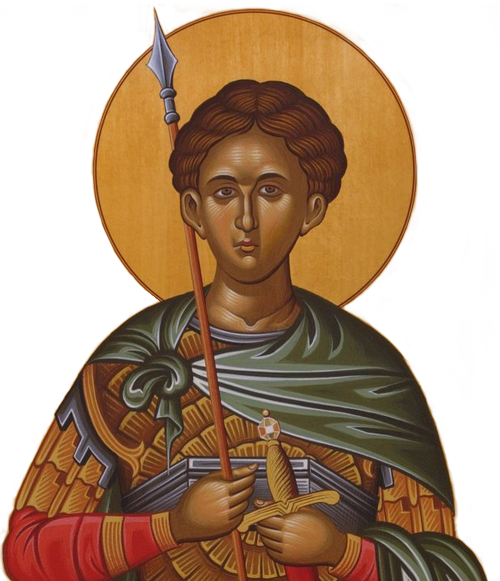 Show your pride in St. Demetrios and create a lasting legacy for your family. Buy a brick and become a permanent part of our church history. Bricks can be purchased by credit, check or cash. Contact Froso Morales at (732) 826-4466 or email at stdgoa@gmail.com.